Many of us have spent years (some of us decades) working on enterprise mobility designs, development and implementations. These projects, for the most part, started as tactical implementations for specific LOBs (lines of business). They involved usually one app, connected to a specific back end system and database. Over the years these projects evolved to include multiple data sources and business processes. Today, CIOs and IT departments are being tasked with mobilizing the entire enterprise IT environment. 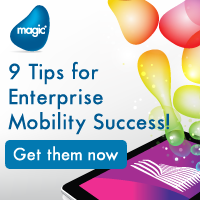 This task, I propose, requires a new way of looking at enterprise mobility. Earlier this month (December 2013) I spoke on a panel with Forrester Research's John McCarthy in London. We were discussing the current and future state of enterprise mobility. McCarthy stated that 2014 would be the year of "complex mobility" and would cause "Y2K-like" events in many enterprises. He added that ERP like investments may be required in many enterprises in order to prepare them for a mobile first world. Herein lies the challenge. Complex and mission critical IT systems often include legacy systems. In many cases these legacy systems were not developed to be real-time, or designed to support the speed or operational tempo of emerging business models and mobile environments. These are where both the complexities and the Y2K-like events will be found. Legacy systems will either need to be updated to support real-time and mobile environments or replaced. Given these challenges, business analysts will need to understand what parts of their IT systems and infrastructures are problematic. If market forces and the digital transformation of your industry are driving you to a more online and real-time operational tempo, then what IT systems are or will prevent that migration? The systems that are preventing that migration must be flagged for an upgrade and/or replacement. While you are engaged in this process, why not identify blind spots that are forcing you to manage with "conjecture" rather than based upon real and accurate data? Often mobile apps and sensors connected to the IoT (Internet of Things) can help fill in the blind spots. These blind spots can be caused because the data is not collected, or not used, or is analyzed so slowly that the usable shelf-life has passed by the time you get it. Don't worry...we won't run out of things to do in 2014. Read Part 2 of this article series here - http://mobileenterprisestrategies.blogspot.com/2014/01/a-new-perspective-on-enterprise.html. I often discuss the concept of operational tempo in my digital transformation and mobile strategies sessions. I define operational tempo as the speed or pace of operations. The advent of broadband Internet, mobile devices and mobile applications have dramatically changed our expectations for the operational tempo of businesses. None of us are willing to wait 8 minutes for a response on a product availability query from our smartphone. None of us want our turn-by-turn navigation app on our iPhones to update only once every three minutes. We seek real-time operational tempos, or perhaps even faster than real-time. How can a mobile application be even faster than real-time? It can know what you need before you even ask! Mobile apps that are context aware can predict what you will need without you even asking for it. Let's imagine a service technician driving to his/her next job site. The apps (and connected back-office systems) review traffic flows, guides the service technician to the optimal route, checks the client records for all relevant SLAs, warranties, financial issues, equipment location and past maintenance and repair records and service notes and provides them without being asked. As the service technician nears the customer site, a text is automatically sent to the customer announcing his/her's imminent arrival. In addition, the mobile application has checked the service vehicle's inventory of parts and creates a list of available on-board parts that are likely needed for the job. The scenario we have just considered is real and can be done today with software from companies like SAP (SAP Workforce Scheduling and Optimization by ClickSoftware solution). This system includes an artificial intelligence agent known as ClickButler that is tuned into the needs of mobile workers. In order for artificial and context aware systems to provide their promised value, they must be connected to real-time data. In addition, this data must be analyzed by a system fast-enough to support the operation tempo required by the users. It is this challenge that Forrester's John McCarthy states will cause another Y2K event in many enterprises. In other words, it will force companies to replace systems that are incapable of supporting real-time processes that are required to support mobile users. In 2014, all companies should be reviewing their back-office systems to identify and replace the systems that simply cannot function in a "real-time" environment where the operational tempo requires instant everything. It this short video I share more on the merging of the physical world with the digital and how that is impacting industries, markets and businesses in many different areas. 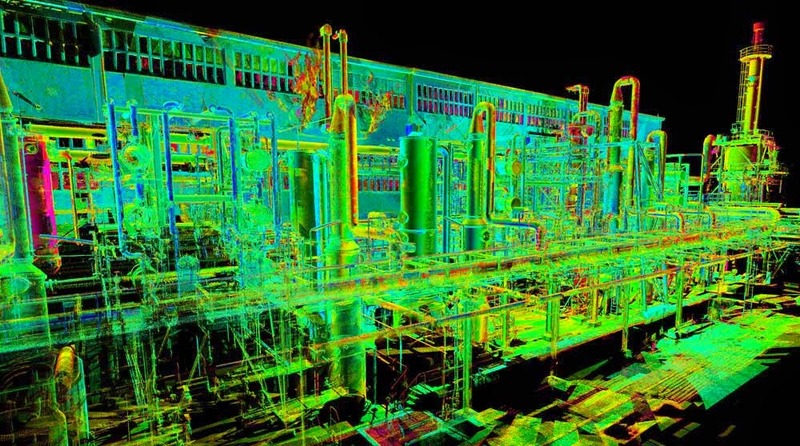 Learn about 3D Laser Scanning to create digital representations of physical objects to improve field services and asset management. Enjoy! I write and speak a great deal about digital transformation, however I don't think I have yet clearly defined it and its relevance to businesses. Let me step back and start by saying my working definition of digital transformation is the application of digital technologies in a manner that enables new types of innovation, businesses models, behaviors, products and services. Often digital transformations disrupt the status quo, traditional business paradigms and accepted best practices as a result of the merging of the physical world with the digital. The process of merging, changes many things and we will consider a few of them here. In a study conducted in October 2013 by Cognizant, 247 executives were surveyed and shared that 73% of core business processes will need to be modernized to meet cost, agility and new market pressures over the next 24 to 36 months. I believe these "new market" pressures are a direct result of digital transformations happening all around us. 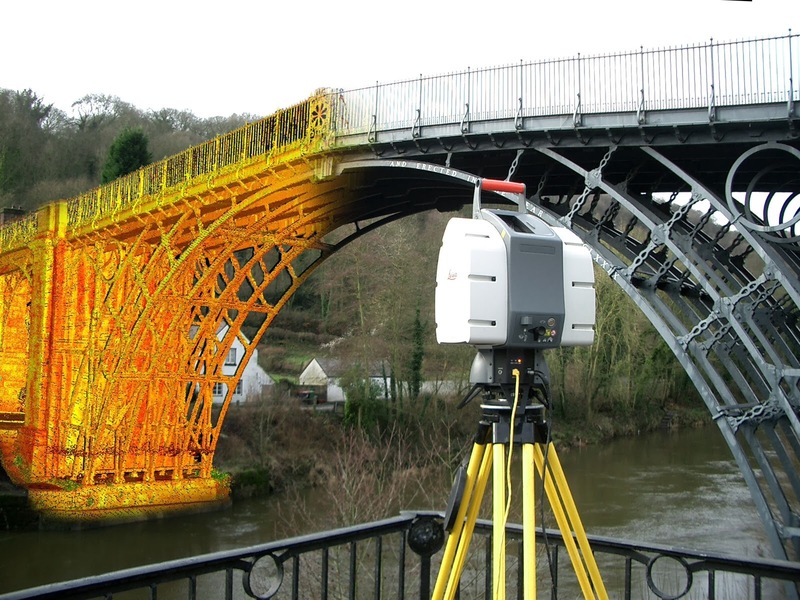 In figure 1, we see an example of the 3D laser scanning of a physical object (the bridge). The 3D laser scans a physical object, and then creates a digital representation of it. This digital representation is precise. Once the digital representation is in your computer, you can import it into asset management, maintenance, service and other kinds of software systems. Here you can add notes, tags, location data, maintenance schedules, inspection reports and regulatory and compliance documents. All of these data points allow the organizations responsible for maintenance and services to have a very clear understanding of the asset and the services required. Maintenance and services performed can be tagged to exact locations and documented precisely. For example, you can mark an iron beam, a bolt, a weld and document maintenance done to each. The digital representation of the bridge can then be added to a map. Now you have an exact location and an exact digital representation of the physical object on the map. These precise digital representations enable the organization that owns the digital content to have a significant competitive advantage over companies that don't. They can use this data to optimize planning and SLAs. The digital content has an economic value. It provides a competitive advantage. You have precise data that your competition does not. Stored digital content about a person or object is often referred to as a "code halo." The code (digital content) surrounding something can be used to develop all kinds of new and innovative services, products and businesses. In figure 2, we have a digital representation of a plant. Plants need to be maintained and location data, maintenance schedules, maintenance history, parts, materials, SLAs, warranties, service providers, manufacturers, production schedules, costs etc., can all be tracked for every part, machine, pipe, belt and component of the plant. Sensors with wireless embedded chips connected to machines, equipment and other key components of the plant can monitor the operational status of the plant and can provide additional digital representations of the health of the plant. Problem areas can quickly be identified, isolated and visualized. Maintenance and repairs can then be conducted on an optimized plan and schedule that minimizes downtime. A plant that is digitally transformed is likely to be far more productive and profitable than one that is not. We have been considering digital transformation in the context of bridges and plants here, but these same types of transformations are impacting retail banks, insurance, healthcare, education etc., as well. Over the next 5 years we will witness the rapid digital transformation of just about every industry and market around the globe. The winners in the global marketplace will be those companies that best understand how these digital transformations can be used to lower costs, increase situational awareness, improve productivity, customer service and sales. Software companies like ClickSoftware, the leader in Gartner's Magic Quadrant for Field Services three years in a row, are investing heavily into digital transformations, utilizing real-time enterprise mobility, geospatial data and artificial intelligence to optimize workforce and service scheduling. In the book industry, physical books were transformed into eBooks. Physical bookstores were transformed into online digital marketplaces. Book warehouses were transformed into databases. Physical transportation and logistics services were transformed into digital downloads. In music and entertainment, physical records, tapes, CDs, DVDs, etc., were transformed into digital downloads. Physical music and movie rental locations have also been replaced by digital markets. In retail banking, mobile apps are quickly replacing physical bank branches. The transformations are endless. It is each of our roles to monitor our own industries, markets and businesses and to embrace the digital transformations taking place and to position ourselves to be in the the winners column. We must continually ask ourselves, "Are we acting strategically enough to matter, and at the pace of innovation required to succeed?"